A rich young ruler encounters Jesus! Mark 10:17 - As Jesus started on his way; a man ran up to him and fell on his knees before him. "Good teacher," he asked, "what must I do to inherit eternal life?" "Why do you call me good?" Jesus answered. "No one is good—except God alone. You know the commandments: 'Do not murder, do not commit adultery, do not steal, do not give false testimony, do not defraud, honour your father and mother.'" What do you think you are asking? Now Jesus could have been correcting the young man, but more likely Jesus was asking: “Do you know what you are saying and how close to the truth about me you are?” This young man had fully kept the commandments listed by Jesus (Mark 10:19). However when Jesus said to the young ruler that in order to follow Him, he would have to give up all his wealth in order to have treasure in heaven and eternal life, the man left disconsolate. That was a step too far for this man. He wanted his riches and also eternal life but Jesus said he couldn’t have both. He remains the only man to have left Jesus’ presence sorrowful, and that due to putting his trust in his riches and wealth alone. Now riches are not necessarily wrong but they do make trusting fully in God very difficult (Mark 10:23). So what does trusting in Jesus look like? An Outcast Woman encounters Jesus! So he left Judea and returned to Galilee. He had to go through Samaria on the way. Eventually he came to the Samaritan village of Sychar, near the field that Jacob gave to his son Joseph. Jacob’s well was there; and Jesus, tired from the long walk, sat wearily beside the well about noontime. Soon a Samaritan woman came to draw water, and Jesus said to her, “Please give me a drink.” He was alone at the time because his disciples had gone into the village to buy some food. We don’t know the name of this woman. But by looking at this conversation between Jesus and her, we discover several things about her! That she was a Samaritan. There was equal animosity between Jews and Samaritans, hence the end of John 4v9: “(For Jews do not associate with Samaritans. )” The Samaritans were a mixed race people of both Jewish and Assyrian descent from the time of the division of Israel into two parts and the annexation of the Northern kingdom by Assyria. She was an outcast, which is why she was fetching water at the hottest part of the day! This was probably due to her sexual immorality having had 5 husbands and currently in a 6th relationship (John 4:18). We do know for sure that she was waiting for the Messiah (John 4:25) to come! What does this encounter tell us about Jesus? We see Jesus' genuine humanity. He was tired, drained, hot, thirsty and hungry – normal human feeling and reactions. We know Jesus contravened tradition in that he spoke to a woman who was a Samaritan and a sinner. Respectable Jewish men never did that sort of thing! Hence the disciples reaction in John 4:27! That in asking for water, he was capable of great humility by asking for a drink of water; for by so doing, he was putting himself in her debt. Yet, he knew the woman’s life of sinfulness (John 4:17) and it tells us of his divinity, when he offered her the water of eternal life (John 4:14) would spiritually satisfy her (John 4:14)! He Loved the woman, and gave her the most revealing and explicit statement we have in the Gospels as to who he really was (John 4:26) when he said outright “I Am the Messiah!” Remember, he said that to an outcast and non-Jew! Amazing! When the disciples returned, the woman left her water jar, (quite probably one of her only possessions) and went back to the town to tell other people about this Jesus (John 4:29-30). In the remainder of John 4, we read of the many people coming to faith because of the Samaritan woman’s testimony. Jesus as the ‘I AM’, was ever-reaching out with an all-encompassing forgiveness and love to the poor or rich, learned or uneducated, male or female, wanted or unwanted, Jew, Gentile or Samaritan. Through his exclusive claims there is a great inclusiveness of all who are willing to submit only to Him, as both the rich young ruler and the Samaritan women found out – both with different outcomes – one left dejected and the other left celebrating! Thank you! 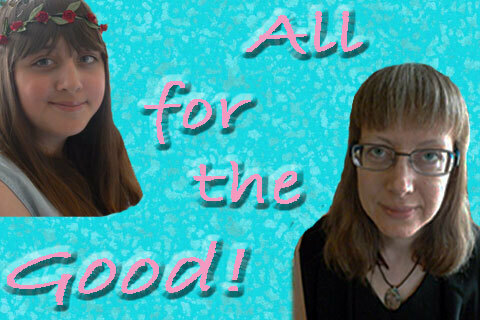 Thanks for reading and listening! Let me know your thoughts by making a comment below! G'day! Welcome to Partakers and we are on day 2 of the series "The Art of Tickling" addressing the question of "How can traditional churches and those with older congregations use new media without excluding people?" Use the talents of people! I think that everybody has some measure of talent that can be used, including those who would ordinarily be dismissed from having any input into Christian worship and thinking, such as the elderly and those we earlier identified as being from the excluded group! We combine those talents, knowledge and wisdom with the methods of New Media: Websites, Blogs, Mobile Applications, Social networks such as Facebook, Twitter, Video and Audio. We have to also ensure these people are safe! Don't disclose too much personal information about them! Also ensure they get some measure of feedback, because that will encourage them to do more! Another idea is New Media Days at your church, or churches together! You could hold a regular event, say quarterly, at your church where people can come and contribute something using New Media. For want of a better name call it a New Media Activity Day or something like that. It would be a good way to get the younger members of the church to interact with the slightly less young members of the church! Using New Media to build and encourage the churches helps build stronger communities..
Another idea of how to include people in this new media is to get them to pray for people you tickle and interact with online! Facebook and Twitter are rife with prayer requests from people! Take those prayer requests and sensitively get members of your church to pray! Get them interested! What a great way to include them! If possible, do ask however the person needing prayer if you can ask others though, as some people may not want you to! You don't need to give names or even initials - God knows their name! Have regular monthly spots on your church blog so that on the 5th of each month, people know who will be on! Here is a good example! In your Church, I reckon the ladies there have amazing recipes! Why not garner the recipes, put online - with photographic evidence and taste tests! Another way we can include those who wouldn't necessarily want to be involved in New Media! For example, on the 5th of November Marjory shares a recipe she has used for years! This particular poem was recorded by George who can't get out much but has a fine strong voice still. Somebody has taken the time to be with these two people, has taken Marjory's recipe, had it recorded by George on a smart phone and put it online! How about that for a bit of tickling? Now here is a potential problem! For those without access to technology, there is the use of facilities in most libraries. Where I live, the libraries run courses for those wanting to know more about being online! Whatever the person's interest is, it can be put online! We can do it! Let's go tickle! Be willing to participate in New Media activities of your community. Large numbers of local communities are represented on Facebook. Instead of starting a new page for your church there, be willing contributors on the community page. Go! Let's go Tickle with New Media! Welcome! 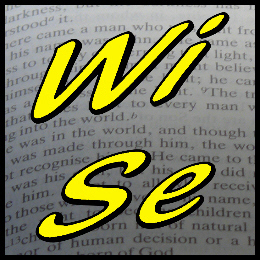 We are starting a new brief series based on a session I did at the 2011 Christians in New Media Awards and Conference. This session addressed the question of "How can traditional churches and those with older congregations use new media without excluding people?" At the conference, we were given the opportunities to investigate how to do those 8 things, to a greater degree of skill! This series, based on that session is about putting that knowledge into practise! Part 2 will be tomorrow and that will be about ways in which I have tickled. Thank you. Today we are specifically praying for churches and church services this weekend! Depending on your church, it can be called amongst other things, the Eucharist or The Lord’s Supper. Whatever name you know it as, all Christians are commanded to participate, as Jesus said: “Do this in remembrance of me” (Luke 22:19). Some churches do it every worship service, others do it monthly or at other times. Whenever we participate in it, we do it regularly as a remembrance of Jesus until He comes again (1 Corinthians 11:26)! The bread symbolizes His body broken on the cross and the wine symbolizes His blood shed on the cross. 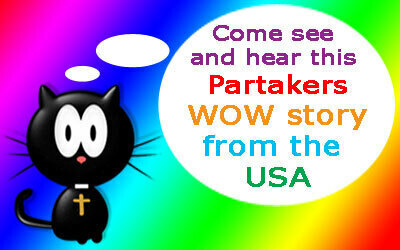 Partakers was on a WOWTour of the USA in 2013! Maybe we saw you there! Today from Michigan, Howard reflects about Jesus and the impact that He has had on his life... Enjoy, learn and follow! Today from Michigan, Donna reflects about Jesus and the impact that He has had on her life... Enjoy! 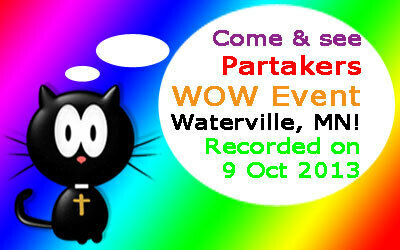 Today we have Part 3 of 3 of a WOW Event held in Waterville, Minnesota on 9 October 2013... Play the video to see what happens! Enjoy! Play the video to see what happens! Enjoy!